Hazel, our Uber driver, instructed Andrea and me to stay in the car, as she stepped out. Almost immediately, she sank to her waist in mud. I jumped out, gave her a hand, and pulled her from the muck. Back on more firm, but still muddy ground, she told us to stay in the car once again, and she was going to get help. What's ironic is that we were just visiting among ourselves about how great mapquest and other navigation devices are and suddenly we were stuck. Earlier, Hazel picked us up at an AirBnB from the New Orleans' French Quarter, and the speaker on her cell phone had us changing lanes, exiting, and ducking and diving to the airport to rent a car for our trip to White Oak Pastures in Bluffton, GA where the Savory Institute's network gathering was taking place. Like the blind following the blind, she kept following the voice from her phone, until we were stuck. Early users of an innovation, like those beginning practitioners of Holistic Management, needed someone like Andrea keeping us from driving blind and placing a false sense of security in a gadget, or a new innovation. The Adoption of Innovation theory suggests the Innovators, or the first 2.5% adopting a new innovation, don’t need much to change because they are very willing to take the risk and like to develop a new idea. Allan Savory provided us with Holistic Management-A New Framework for Decision Making. His idea might be paralleled to the Oregon Trail, in that he defined an intense journey that might get us to a land of milk and honey. The Innovators grabbed a hold of Holistic Management like settlers flocking to the Oregon Trail. Those gathering at St. Jo, Missouri clung to their map of a trail up the Platte River, on to the Sweetwater River and over the continental divide at South Pass, with little comprehension of the unknown lurking at the ground level of this over-arching task. We grasped the Holistic Decision-Making Framework with zeal and bailed into Holistic Management with reckless abandon. Most of us made mistakes, and more than a few got into trouble, just like Hazel clinging to her iPhone and jumping at Siri’s direction. Thanks to the Innovators, the bugs got worked out, helping others see the possibilities. Before the journey to the deep south, Andrea and I had just come from the Regenerate 2018 Conference held in conjunction with Holistic Management International (HMI), American Grassfed Association, and Quivira Coalition in Albuquerque. We found experienced Holistic Managers, broad and deep. The Innovators. This first generation of “Holisticators,” sifted through theory and worked to make Holistic Management relevant. Just as Oregon Trail wagon bosses learned where water was in late summer, where to cross rivers, how to keep the wagon train’s animals on grass, and leaving ‘our’ baggage at the trailhead, these early Holisticators developed planning and implementation tactics to make Holistic Grazing Planning useful for the Early Adopters. Many of these drifted through the halls in Albuquerque. Early Adopters don’t change until they see a need. Unlike the Innovators, these people are risk averse and want “how-to” manuals and implementation tactics and tips. Holistic Management International and their predecessors provided those seeing a need with these tools for the past generation. This 13.5% of learners perfected Holistic Planned Grazing charts, Livestock Production Worksheets, Holistic Financial Planning methods, and a workbook. Tactics like putting temporary electric fence on sagebrush, delivering high-volume, low-storage water, and monitoring plant regrowth helped the Early Adopters meet their needs. The thinkers in the Early Adoption phase filter the Innovators experience to prepare and avoid hazards along the trail. Other organization helped meet the need in different contexts. The Quivira Coalition brought thinking to a region with similar challenges, braiding a network of interests in the Southwest. Ranching for Profit brought intensity to the financial management leg of the triple bottom line. TAFE institutionalized the thinking down under. Management Intensive Grazing (MIG) helped managers operating in higher production settings. Community Dynamics in South Africa and other organizations supplied the Early Adopters, the leaders, with thinking that answered their differing needs. Most recently, Savory Institute suspected that low adoption rates of practicing Holistic Management may be due to a lack of supporting new practitioners. We defined a strategy to develop Hubs that could train and support Holistic Managers in the context of their region, ramping up the Quivira Coalition's model. In our Oregon Trail metaphor, one might see SI’s Hub strategy as putting trading posts along the trail for pioneers to get supplied, with training, how-to manuals, and implementation tactics, securing the next 13.5% of Early Adopters needed to get to the tipping point. The Savory Institute Hubs are well positioned to support the next stage tipping into the Early Majority. 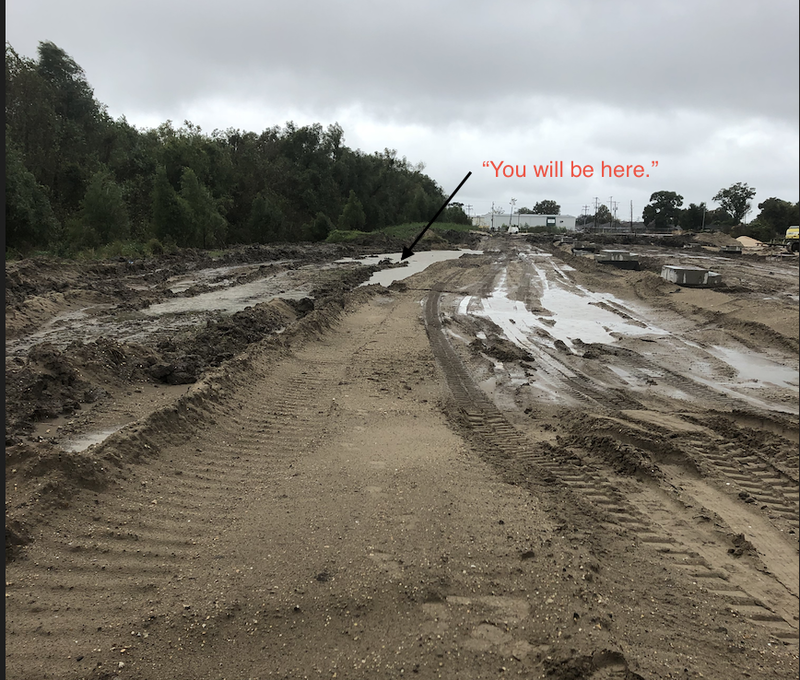 Once our Uber car was pulled out of the mud, Andrea and I drove up the Gulf Coast following the ravaged path of hurricane Michael to Savory Institute's Network Gathering, hosted by White Oak Pastures. Will Harris said they had never seen a hurricane of this ferocity this far inland. One more symptom of a changing climate. SI staffer, Bobby Gill, gave a presentation on the Adoption of Innovation, with a spin. He argued that the total number of acres influenced by “regenerative ranching,” is only a couple of years from the tipping point. The implication is huge. The Regenerative Ranching community includes a swath of people that have been developing and demonstrating regeneration, for a while. Too often, organizations and people are getting killed by friendly fire. We are all on the same side, the side of building soil, economies, and communities. Regenerative Ranching is huge! Could it be that the adoption of “Regenerative Ranching” has already passed the tipping point? We define the stage of the adoption of innovation we are in by people’s behavior. The Innovators were risk takers and inspired possibility. The Early Adopters recognized a need and developed tools and tactics to meet the conditions in their context. The Early Majority needs demonstration. Once they see that an innovation works, they practice. Our first thought that Regenerative Ranching may have reached the Early Majority was with the Natural Resource Conservation Service (NRCS) in Oregon. In today’s context, NRCS is not an innovator or even an early adopter but most likely the Early Majority. I went into the NRCS office, with my Holistic Grazing Plan to apply for a program called The Conservation Stewardship Program. We went through the practices this new program offered and checked the box on anything that was in our grazing plan. When our application cleared the State office, the District Conservationist called to tell me that we scored the highest of any application he submitted. The agency wasn’t offering to train, or supply planning sheets, or advocating tactics to achieve these practices. They merely wanted evidence that we were doing the practice. They pay an incentive to empower decisions at the soil surface and “get er done!” It would seem they are after rewarding the Early Adopters. Our Holistic Grazing Plan qualified us for many of the programs, but other Regenerative Ranching organizations would lead their practitioners to the same outcome—a sound ecology, economy, and community. White Oak Pastures suggests the same evidence. Here we have a highly complex business “showing” others how to build soil, increase production, and marketing to consumers. I’m not clear of the role Holistic Management played in bringing Will Harris to this stage of managing complexity, but it doesn’t matter. At White Oak Pastures, we see regenerative ranching up close and personal. The Early Adopters have been filling in the gaps of the Holistic Decision-Making Framework for a long time. Like what over rest looks like in a low-production, brittle environment. Or, how to handle cattle without stress under these new parameters Or, helping to assess in one's context where stock density tips into a diminishing return. Like the Oregon Trail wagon bosses returning for their 6th or 10th journey, the Early Adopters of Holistic Planned Grazing have moved beyond the simplistic concept of risk/reward and gained an innate sense of risk/consequence. How do we harness that skill and life experience? 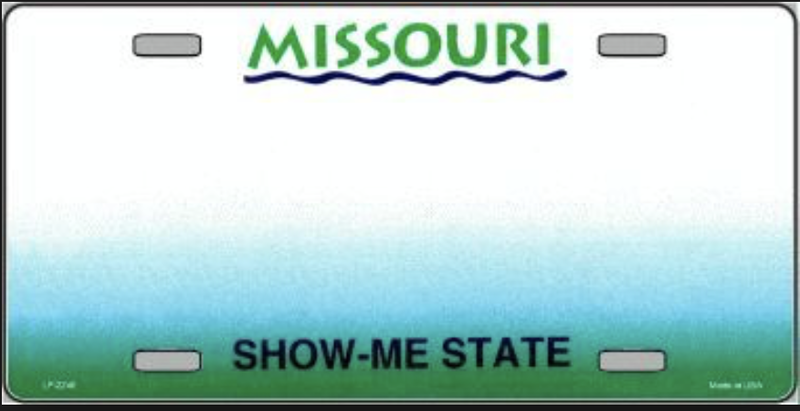 How do we reroute “Show Me” to the Early Majority? Kathy Voth’s, On Pasture’s weekly, featured a story on Eric Hoffer’s quote, “…while the learned find themselves beautifully equipped to deal with a world that no longer exists.” …think about that for a minute. The On Pasture story, Only the Learners Survive reminds us to maintain perspective, “Learning rules is useful, but it isn’t education. Education is thinking, and thinking is looking and seeing what is there, not what you were told is there.” As the Uber driver following a voice from cyberspace that told her what was there, Andrea was looking and seeing what was there. On Pasture gathers evidence of skill and experience. They present a broad range of “show me” examples for those needing evidence in the Early Majority. On Pasture has a platform for this stage of adopting Regenerative Ranching. They can connect those who need to be shown with the evidence relevant to their context. The tipping point of a new innovation takes us to a waterfall event. Extreme conditions due to climate change have brought us to a desperate need for getting waterfall regenerative ranching on the ground. We need to supply the Early Majority with evidence that Regenerative Ranching works. Oil use has increased for the last 5-years, and carbon emissions are expected to increase 2.7% in 2018. We are burning up and freezing up! Our good friend and Savory Institute associate, Chris Kerston, landed in Denver to change planes on his way to the Savory Institute gathering. He received a call from his wife that after she dropped him at the airport and left their children at school, she could not get home. Fire was consuming their northern California town. They lost their home, their dog, their family heirlooms, and everything but their life. Read about how they are doing and consider donating to this young family. Jim Winder, co-founder of the Quivira Coalition, whose mission to broaden the radical center of conservation, effectively included diverse views and organizations to grow regenerative ranching. Jim had an idea that an organization should sunset after 10 years. He posited that if you didn’t accomplish your mission by then, the reason must not be relevant to your audience. If it were relevant, you would have reached the tipping point by then. Jim’s very relevant point being that we need to keep the message fresh and relevant to different technologies, diverse views, and new understandings of old ideas. Rerouting and navigation are critical when empowering decisions at the soil surface. The Innovators see a vision and take a risk. The Early Adopters experiment and fill in the holes of the theory. The Early Majority identify what works and develop a practice. Eventually, we will create a culture. What will that culture look like? Will it be based on the selfish individual or the betterment of our community?